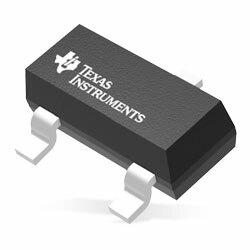 Texas Instruments TL431LI/TL432LI Programmable Shunt Regulators are three-terminal adjustable shunt regulators, with specified thermal stability over applicable automotive, commercial, and defence temperature ranges. The output voltage can be set to any value between Vref (approx 2.495V) and 36V, with two external resistors. These devices offer a typical output impedance of 0.3Ohm. Active output circuitry gives a very sharp turn-on characteristic, making these devices attractive replacements for Zener diodes in many applications. These applications include onboard regulation, adjustable power supplies, and switching power supplies. These devices are a pin-to-pin alternative to the industry standard TL431, with optimised Iref and IIdev performance. The lower Iref and IIdev values allow designers to deliver higher system accuracy and lower leakage current. The TL432LI offers the same functionality and electrical specifications as the TL431LI but has a different pinout for the DBZ package. The TL431LI device is provided in two grades, with initial tolerances (at 25C) of 0.5% and 1%, for the B and A grade, respectively. Also, low output drift versus temperature assures good stability over the whole temperature range. The TL43xLIxQ devices are characterised for operation from –40C to 125C. Typical applications include adjustable voltage and current referencing, secondary side regulation in flyback SMPS, Zener diode replacement, voltage monitoring, precision constant current sink/source, and comparator with integrated reference.